The Sony NEX-5 mirrorless digital camera is packed with a 14.2 MP APS-C sized sensor in a body that rivals most point and shoot cameras in size, though the quality of its images is on par with larger DSLRs with a cropped sensor. The camera itself has a very basic layout; shutter button, power button, playback option, video recording, a multi-function rear wheel/button and 2 programmable soft keys. Underwater photographers are sure to be pleased with the NEX-5’s existing four lens combinations as well as the fifth that’s on the way. Currently, it can be equipped with a 16mm f2.8 pancake lens along with two additional conversion lenses that attach to the 16mm, a fisheye lens, a wide angle lens (180º and 95º coverage respectively) and the 18-55 mm kit lens. Both Sigma and Sony have announced plans to release a 30mm f2.8 macro with Sony expecting to release their version in mid-November Coupled with the AquaLED 800 video light, the NEX-5 is capable of 1080i HD video with full time auto focus. In short, the Sony NEX-5 offers a powerful and versatile camera with interchangeable lenses in a very small form factor. When Aquatica announced that they were releasing the AN-5 housing for the NEX-5, I put in my order to have one on hand as a backup/dive buddy camera. Previously, I used the Canon G10 with the OEM housing and the Fantasea Bigeye lens for that purpose. Unpacking the housing and ports (4″ glass dome, 6″ acrylic, flat port), I was amazed at how compact it was. In fact, without the optional grips, the housing with attached dome port is not much bigger than my gripped Canon 7D with a 24-105 mm lens. Adding the optional grip, TLC strobe arms and a single Sea & Sea YS110a with fiber optic sync made for a very compact package. The optional grips add only about 4” to the width of the housing, so I highly recommend using at least one as the overall feeling of stability is much improved with the grip. Video shooters will definitely want both grips on the camera not only for stability but as a means to mount video lights to the system. The housing is finished in Aquatica’s trademark black textured finish with stainless steel buttons and all camera controls, even the flip up flash is accessible via the housing’s controls. A very nice feature of this combo is that the mounting tray of the housing allows for Sony’s rear tilting LCD to be tilted at a 15º angle, putting the camera in a very comfortable shooting position. As much as I would have liked my first dive with the AN-5 to be in a warmer climate, I decided to try it out on a recent trip to the Chilkotin region of British Columbia to photograph spawning sockeye salmon. While higher than normal water levels made shooting difficult (as in, being swept down river and almost run over by a river guide difficult), the AN-5 proved to be up to the task. Once you know the camera, there is no need to relearn any of the control positions; the housing pretty much mimics where the controls fall on the camera. The angled position of the LCD made composing shots very easy and the camera’s large rear LCD was easy to see even in bright light, no doubt helped by the integrated shade built into the AN-5. During two days of shooting with the AN-5/NEX-5 combo, I was able to use both the fisheye conversion and the 18-55 mm lenses. I do wish that I’d also had the wide angle conversion lens on hand, however that was more due to the fact that the fish were a bit skittish than an issue with the camera and housing. A bit of patience and good fortune did allow the fish to get close enough for me to capture the following images. While I do really like the AN-5 and NEX-5 combo, there are a few nit picky things that I didn’t care for. While shutter response is much faster than most point & shoots in the market, the camera certainly doesn’t match up to the AF of my Canon 7D DSLR. There were times when the water’s turbidity and the low contrast of the fish against the background made for a combination that the camera simply could not focus on with the 18-55 kit lens. The fisheye conversion seemed to be better at this though, likely because the 16mm lens is much faster at a maximum aperture of f2.8 over the f4.5-5.6 of the kit lens. That said, when presented with sufficient contrast, the AF on the 18 – 55 mm kit lens did work well and the shutter release was very responsive. The edges of the rear dial on the AN-5 are sharp and I wouldn’t recommend using it with an uncovered thumb; however when using gloves, the dial’s sharp edges provide a firm grip and make for adjusting the dial very easy. The NEX-5 has a unique way to adjust shutter speed and aperture with one dial. You simply tap the top or bottom edge of the dial and this accesses the joystick function of this multi-controller, rotating the dial will change the values of whatever mode you’re in, say shutter speed, then a tap on the 12 o-clock or 6 o-clock positions will set the dial to change aperture. Very smart, intuitive and easy to get used to. 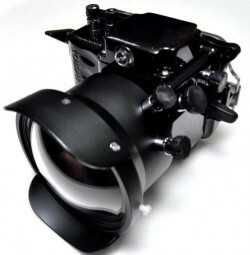 Would I give up my Canon 7D and Aquatica A7D housing for the Sony NEX-5 and the AN-5? Not quite! DSLRs are compatible with an array of lenses that are not yet available to the NEX-5. The much loved Tokina 10-17 mm for instance, or a macro lens with a longer working distance. 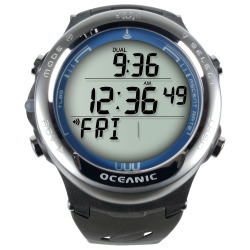 But, as a backup housing and body or for a diver who only does two to three weeks of diving each year and wants something better than a point and shoot camera, I would strongly recommend this combination over any other compact system. Specifically, a great starter combo would be the NEX-5, the 18-55 kit lens, the Aquatica AN-5 and the 6″ acrylic dome. This will allow for capturing anything from three inches wide all the way to diver sized subjects. Note: Shortly after completing this review, Sony released the newest version of the NEX line, the NEX-5n. The new camera is almost a button for button clone of the NEX-5, however Sony did move the playback button closer to the side of the camera. The NEX-5n adds a couple of features that would be of interest to the underwater photographer: a new sensor with 2 more megapixels (16.1 vs 14.2 for the NEX-5), improved autofocus and shutter response time and 1080p instead of 1080i HD video capture. In response to the new camera, Aquatica recently released renderings for the new AN-5n housing. The new AN-5n incorporates minor changes over the original AN-5. Gone is the window on top of the housing that allowed the user to use the on-camera flash (the dome ports pretty much blocked the light coming from the on-camera flash anyway, rendering it useless for underwater use), a new latch system replaces the older stainless steel hook system and it now has a very slick cam operated rotary lock. 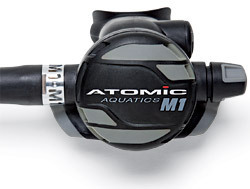 The latch design came from Aquatica’s recent acquisition of Amphibico. Aquatica integrated Amphibico’s latch design as it is arguably the best method right now for sealing the back of any underwater camera. There is no release date yet for the new AN-5n housing. The AN-5 is still in production and the NEX-5 is still available from most retailers, and being the “older” model, can be picked up at a substantial discount. This entry was posted in Dive Gear, Underwater Photography, Water and tagged aquatica, british columbia, canada, housings, underwater photography. Bookmark the permalink. Post a comment or leave a trackback: Trackback URL. I’m looking into a box for the new Sony NEX-7, and have noticed your competitors from Nauticam are getting one ready, but I don’t want to jump into one without checking your option first. Will there be one available? Any price idea? If so, when could one expect it? Aquatica is currently working on the NEX-7 housing as well. If you notice, the Nauticam ones are simply CAD renderings not a real housing you can hold yet. As you know, the NEX-7 bodies are just getting to those who’ve pre-ordered last year. I did call Aquatica because of your question and their CAD drawings are ready and renderings will be out in a couple of weeks. If you’d like, drop me a line @ stewart@stewartsy.com and once they send me the renderings, I’ll email them to you. One thing to take note, Aquatica is the only manufacturer who perfectly translated the function of the NEX-5 controls to the housing, being able to use the rear dial as not only a dial but as a multi-function joystick is a huge difference in the functionality of the housing. I have a nEX7 and am about to get a 16mm lens. Would you recommend getting the WA converter or fisheye? Which port? Glass or acrylic? It really depends on what you expect to shoot. Given the price, I’d get both as they’re only $99 on Amazon.com. The Glass dome is what you use with the conversion lenses. The Acrylic port is for the 18-55 kit lens. That is no slouch either. I have recently got a nex 7 and now I´m just waiting for the underwating housing for this camera. Could we know when will be the aquatica housing available … ? and some idea about the final price … ? The official line from Aquatica is “The Housing is Coming Soon” I’ll post here when we there’s news or you can email me at stewart@stewartsy.com and i’ll add you to the list. 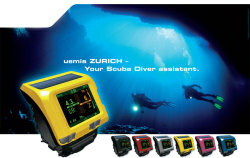 To all those who’ve been waiting for news on the NEX-7 housing from Aquatica. I just got official notification today that they have suspended all development work on the NEX-7. A combination of the floods that affected Sony’s production as well as the introduction (and demand) for the new cameras released by Canon and Nikon has put a halt to the NEX-7. Aquatica will continue to produce the NEX-5n housing and expect to continue development once a new NEX camera is announced.